The decision to build a new army camp in the small market town of Colchester in 1856 was well received and helped to stimulate the local economy after a prolonged period of economic stagnation. Before long the Colchester garrison was one of the largest in the country and the town experienced an economic upturn as well as benefiting from the many social events organised by officers. 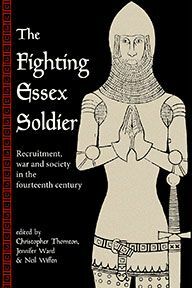 But there was a downside: some of the soldiers' behaviour was highly disruptive and, since very few private soldiers were allowed to marry, prostitution flourished. As a result the number of cases of venereal disease soared. 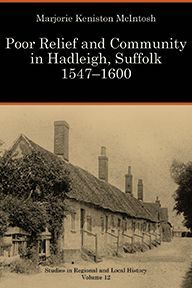 Having compiled a database of nearly 350 of Colchester's nineteenth-century prostitutes, the authors examine how they lived and operated and who their customers were. What were the routes into and out of prostitution and what was life like as a prostitute? Was it even seen by some as an acceptable way for girls and young women to boost inadequate earnings from more respectable work? How did prostitution intersect with the social life of the town, especially as this was played out in local beerhouses? This is also an investigation of how authority in its many guises – from policeman and solicitor to magistrate and lady reformer – dealt with prostitution and the many problems associated with it, bringing a great many vested interests into conflict with each other. Such large numbers of women could not be tidied away into a discreet red-light district but lived and worked all over the town. They gave the police considerable trouble, but it was routinely declared that nothing could be done about them. Prostitution itself was not illegal whilst efforts to tackle the women's criminal activity, such as soliciting, theft or assault, were largely ineffective. Under pressure from the army, Parliament passed the Contagious Diseases Acts, allowing prostitutes affected with venereal symptoms in garrison towns to be confined for treatment, but there was widespread opposition to these controversial laws. Bringing to bear considerations of class and gender, urban development, health and welfare, religion and moral reform, this is a wide-ranging, detailed and original study. 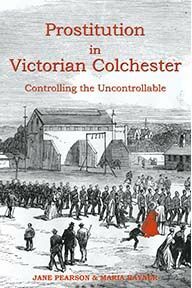 As well as providing a vivid portrait of nineteenth-century Colchester, it will appeal to all those interested in the history of women's work, policing and society more widely. Jane Pearson taught local and social history at the University of Essex. 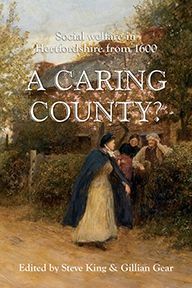 She has published papers on Essex local history and is preparing a medical history of Colchester.